Eddie Bauer’s recent advertising campaign has put an interesting twist on a common seasonal item that many are familiar with: fleece. In their recent “Release the Fleece” campaign, E.B. focuses on the uses of emotional appeal, photography, and typography to draw their customers in and transforms this every-day product into a must-have commodity. Ads that end up making people buy and share can usually be linked back to one word: emotion. This should come as no surprise. According to Psychology Today, studies show that people rely on their emotions, rather than just information, to make final brand decisions. Emotional responses to ads are more influential on a person’s intent to buy than the content of an ad. In Eddie Bauer’s case, their “Release the Fleece” focuses on sporty, adventurous, and smiling adults. This is the demographic E.B. is trying to grab the attention of. By showing customers what their fleece products look like “in action” on relatable and similar types of people, this further entices the potential customer to invest in a fleece product. The power of visual communication has reached an all-time high with the rise of digital and social marketing. This is media that modern marketers use to promote their content and brands. Because of this, photography is becoming even more vital to the promotion of a product than ever before. It catches a customer’s attention, improves understanding, calls for action, and most importantly: it drives sales. 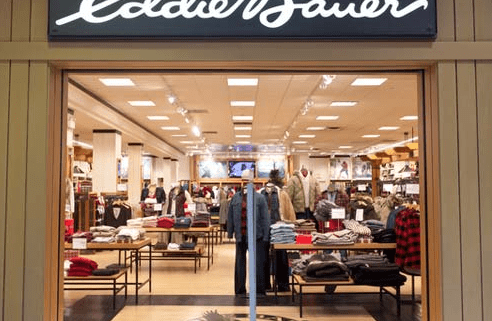 Eddie Bauer’s photographs in their fleece campaign are all outdoors. Whether the models in the fleece are hanging out along a coastal beach, casually strolling in the city, or hiking up the mountains, they make the fabric look modern and chic. This type of fabric is meant for cooler weather. E.B. intentionally chose the month of February to send out this ad campaign. This helps reinforce to customer that there are only a couple months left to wear fleece. When it comes to optimizing conversion rates, marketers are more than familiar with testing various colors, images, and buttons to see how they will affect customer turnover. But what about something as seemingly insignificant as choosing a typeface? You may believe you’re in the clear as long as you’re keeping away from Comic Sans, but typography matters more than you realize. It can add that “human touch” that customers are looking for. In Eddie Bauer’s “Relase the Fleece”, typography was kept very minimalistic. It is very easy to read and was made to be sans serif. The colors of the typography are a cool, mint green and ocean blue, both of which have spring connotations. 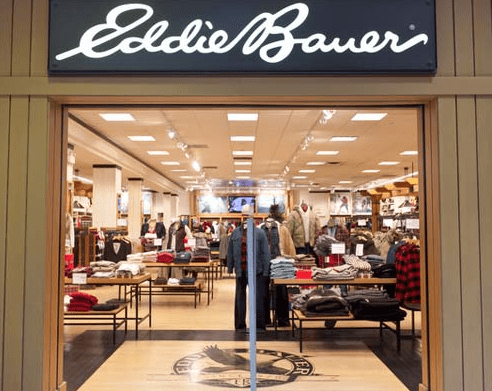 In fact, the ocean blue hue matches the color of Eddie Bauer’s logo.